Great place to purchase a vehicle. Everyone was friendly and the place was very clean and organized. A pleasure shopping there. I highly recommend you check it out. 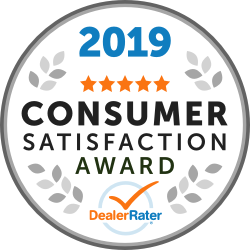 "Best car buying experience EVER!!!!!!" I just purchased a new Ram 1500 Eco Diesel from and Dave and all aspects of the experience were beyond my expectations. The new facility is a great addition. vehicle shopping at times can be very confusing. with the help of peter and bill this was not the case. a vehicle was located at another dealer and every detail was explained very thoroughly to me. after all our discussions were done and a very attractive price was offered the decision to move ahead was on. they went ahead to get the truck from other dealer and we received our new ram a few days later. I am very pleased with the vehicle and with all of bill lockers calls to keep me abreast of all pre service of the truck. 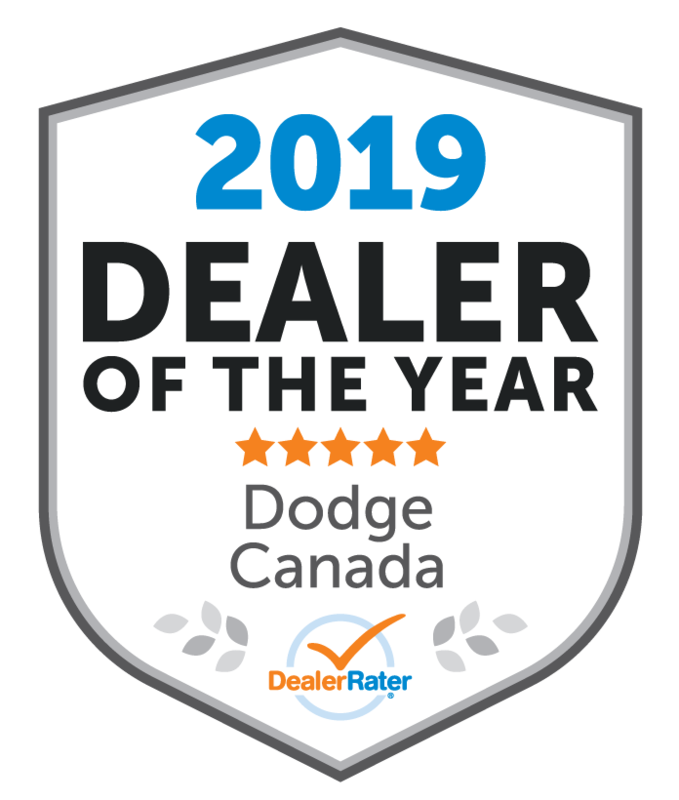 thanks to eichenberg motors and all staff for the help and I would encourage people to check this dealer out. "Great buying experience and unbeatable price!" I searched for weeks around the London area for a Dodge Nitro 4x4. I found a few that were decent priced, but had either no options or high kms. I was pleasantly surprised when I found this 2010 fully loaded Nitro for sale at Eichenberg Chrysler in mint shape for thousands less than 07, 08 and 09's were selling for everywhere else in Ontario. After doing more research I found that it was actually the best price in Ontario. I met with Charlie and Greg who were both very helpful and knowledgeable. They made the whole buying process very easy and comfortable. After seeing their brand new facility and amazing selection I would definitely recommend this dealership to anyone who wants a great vehicle at a great price. From the moment we walked into the dealership everyone working there greeted us kindly and were willing to help us with anything we needed. Bill made us comfortable in his office and got us coffee while he was sorting out the paper work. We were able to work out price for our trade in that worked with our budget and we were satisfied with the results. 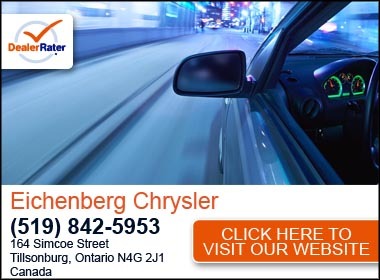 Overall, Eichenbergs took care of us during a stressful time off purchasing a new vehicle. We are satisfied with our purchase and certainly have no regrets!! We have been a long time client of Eichenberg's and have dealt with Ann Kamenar previously. She is well informed on her product offerings and knows her business well. There was no hesitation in our selecting her to discuss our new vehicle requirements as we believed strongly that she would Listen closely to waht we wanted and not oversell us. The end result met and exceeded our expectations resulting in the purchase of a new van. The trade in transaction was well handled and the financial delta was quite acceptable. Bottom line, Ann is an excellent representative for Eichenberg's and in our estimation a dedicated and responsible employee. We were very impressed with the knowledge and service provided to us by Bill Locker of Eichenberg Motors in Tillsonburg, On. We look forward to cotinued quality service. I previously purchased a vehicle from this dealership in 2002. My service with the dealership has been excellent throughout the years that I owned this vehicle. I decided to purchase my next vehicle in 2014 from the same dealership knowing that I will be treated fairly and with resspect. The salesperson Bill Locker after telling him what I wanted, gave me all the details of the vehicle of interest. He is very knowledgeable and open to any questions asked. I would have no problem in telling my friends that Bill Locker is a very special and honest salesperson and to go and see him for a deal. Simcerely, Ed & Mary Weil. As a matter of trust, I believe Eichenbergs has earned mine in the value and service that I have received. I think how they cleaned the van after repair shows a concern for their customers.